When you’re the person who’s in charge of running an office, one of your top priorities is making sure that you do what you can to turn a profit, right? And so, in order to do that, you tend to make decisions that will keep you from spending a lot of money. For this reason, we can totally understand why the thought of upgrading your office equipment might not be something that you feel the need to do. After all, so long as there is furniture, supplies and the electronics are up and running, you may not think that it’s important. However, there are actually a lot of benefits that come with making updates to many of the items in your office space and we’re hoping that after you read this article, you’ll see why doing so may be the best financial decision you’ve made in quite some time. It will mean saving money (in the long run). Ironic as it might sound, one of the main reasons why it’s a good idea to upgrade your office equipment is because it can actually save you money. That’s because if you purchase electronic equipment that has the Energy Star label, you are purchasing computers, printers and copiers that are designed to use anywhere between 30-40 percent less energy. 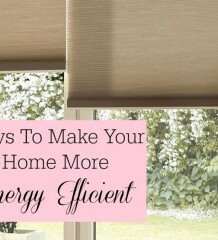 This means lower energy bills each month which ultimately puts more money into your pocket. It will mean less maintenance. Although you might think you’re just fine with the desktops that you have in your office, if they are always breaking down or encountering viruses, this still means you’ll have to hire a technician to fix them. So, not only will you have to spend money but you’ll also experience a lack of productivity until the repairs are made. However, with newer products, you don’t have to worry as much about maintenance. And that’s a good thing. It will mean better comfort. An overwhelming majority of jobs consist of sitting at a desk and typing on a computer for hours on end. After a while, it can really start to take a toll on you and your staff’s neck, shoulders and back. One way to keep everyone from experiencing this kind of discomfort is by purchasing ergonomic furniture. It’s specifically designed to provide your body with the all-day support that you need. It will mean having more space. Another huge benefit that comes with upgrading your office equipment is that it can provide you with more space than you might currently have. Take for instance, you have a fax machine. Thanks to the progression of technology, you can now send faxes over the internet via websites such as OnlineFaxService.com. Being that you can send them online, you can replace the fax machine with an ottoman (for storage) or even water cooler. It will mean that you can work more efficiently. Upgrades in office equipment would also include software. Each year, there are newly-released editions when it comes to Microsoft packages, graphic design and accounting software, antivirus programs and also teleconference websites such as Skype. 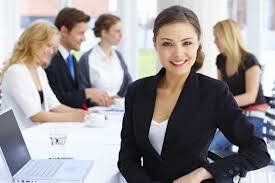 By making sure that you have the latest software, your company can work much more efficiently. When this happens, it ultimately means that your company will run more successfully. Indeed, it’s one more great reason to upgrade your equipment just as soon as possible.